Burberry Sport Ice for Men envelops your body into a sensuous and fresh cloud. 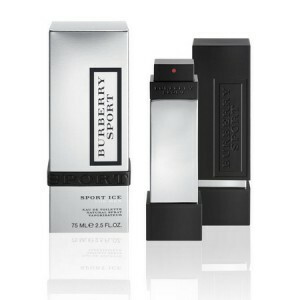 Burberry Sport Ice for Men Eau De Toilette 75ml. is a luxurious towel for young and brave men who love sports and competition. Perfume harmoniously combines fresh citrus essences with water tones, which add to you a refreshing feeling of cooling, just like you just walk out of the shower. A sophisticated combination of juniper, moss and virgin wood brings a feeling of joy from the victory and strength of a real man. The basis of the fragrance is the sensual chords, amber and cedar wood, which multiply the masculinity and attractiveness of the perfume wearer. Burberry Sport Ice For Men is the fragrance that envelops your body into a sensuous and fresh cloud that excites your senses and gives you a full sense of sporty spirit and unceasing vitality. With Sport Ice For Men, you become the winner over every day and worries about it.